Ron has been in service to God and his country for the last 40 years. He served in Vietnam in the Navy, as a High School Teacher and has served with his family in the mission field for the last 28 years. Ron served in Haiti and with his family Beth his wife, Travis, Jennifer and Jessica his children in Ecuador, Comoro Islands in Africa and in the US. 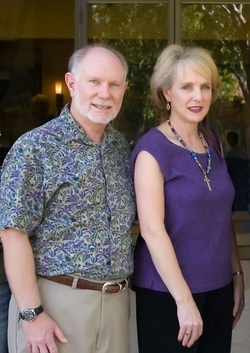 They are presently in Arizona, Ron’s birthplace, working with international students at Arizona State and the surrounding schools. Ron’s heart is for reaching the unreached students in Arizona and building teams of ISI Staff and Volunteers to carry on this effort. His responsibilities are to give guidance to staff and volunteers at ASU, ASU East Campus, U of A, MCC, SCC, Western International University and Embry-Riddle in Prescott. He also is the main recruiter of volunteer workers at these schools, so is working with churches and the Christian community. Ron grew up in Arizona, went through the Arizona public school system and graduated from Mesa Community College (Photo Journalism) and from Arizona State University with a BA in Secondary Ed teaching Geography and Photography. Ron also has 30 hours from Reformed Theological Seminary in Jackson, MS.